Medical-tinged teenage love stories have been particularly prevalent in recent years, from last year’s Everything, Everything to 2014’s The Fault in Our Stars. 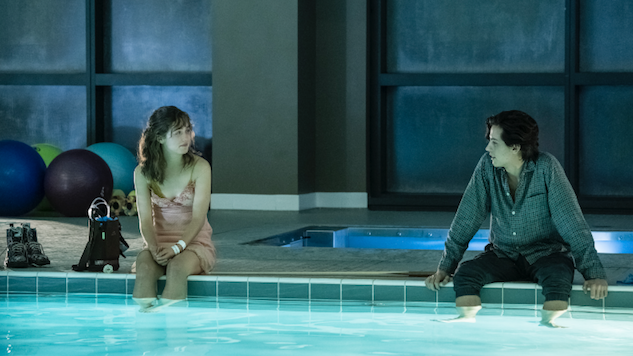 The first teaser trailer for the latest take on the genre, Five Feet Apart, was released Friday and, staying true to form, the movie looks like it should be a real tearjerker. Directed by star of The CW’s Jane the Virgin Justin Baldoni, Five Feet Apart stars Haley Lu Richardson (Split) and Cole Sprouse (Riverdale), who step into the roles of the diligent rule-following Stella and the determinedly rule-defying Will, respectively. The movie follows the journey of the two teens as they live within the confines of a hospital to manage their cystic fibrosis diagnoses. The two eventually fall in love, because of course they do, despite having to maintain a six-foot distance at all times to prevent cross-infection. The film is Baldoni’s first foray into full-length feature directing. He first teased the film in an Instagram post Thursday before the full trailer was released today. Five Feet Apart was produced by Baldoni and Cathy Schulman, and will be released on March 22, 2019, via CBS Films. Later this month, a Rachael Lippincott-written novel based on the film will be released through Simon & Schuster.